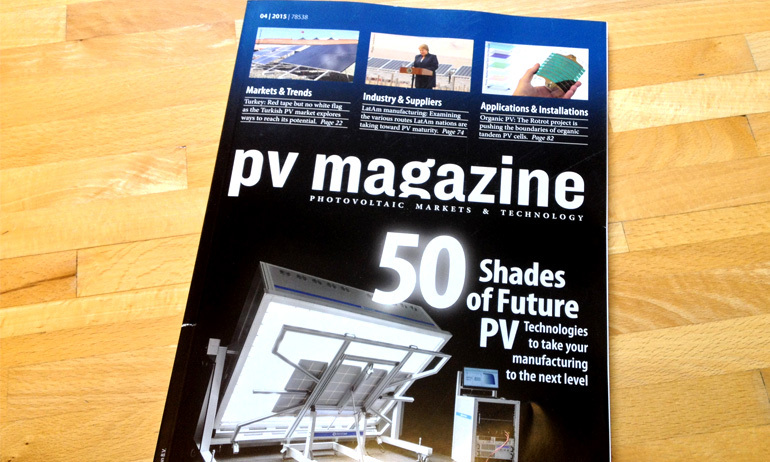 The leading industry magazine’s ranking of pioneering technologies on display at SNEC includes a brief description of their significance for the future of the industry. 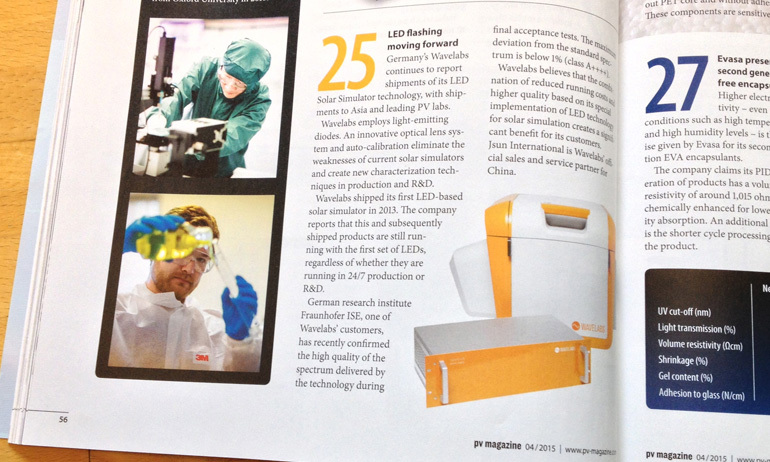 pv magazine praises the innovativeness of WAVELABS optical lens system and auto-calibration. The longevity of the solar simulators that WAVELABS has shipped so far is also mentioned as well as the high quality of the spectrum the SINUS-220 LED solar simulator delivers. LED’S get set to make waves at SNEC!